Although Barye is best known for his bronzes of big cats and horses, he did several fine sculptures of dogs. 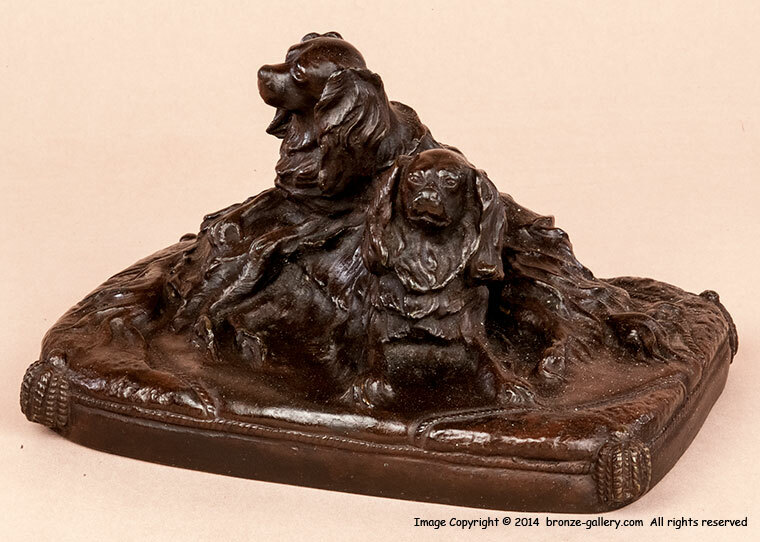 Here is an early model first created in the 1830s when Barye was studying under the goldsmith Fauconnier. The bronze shows two pet King Charles Spaniel dogs resting contentedly on a cushion. The model is a departure from the more usual hunting dogs and may have been a commission from a wealthy patron. 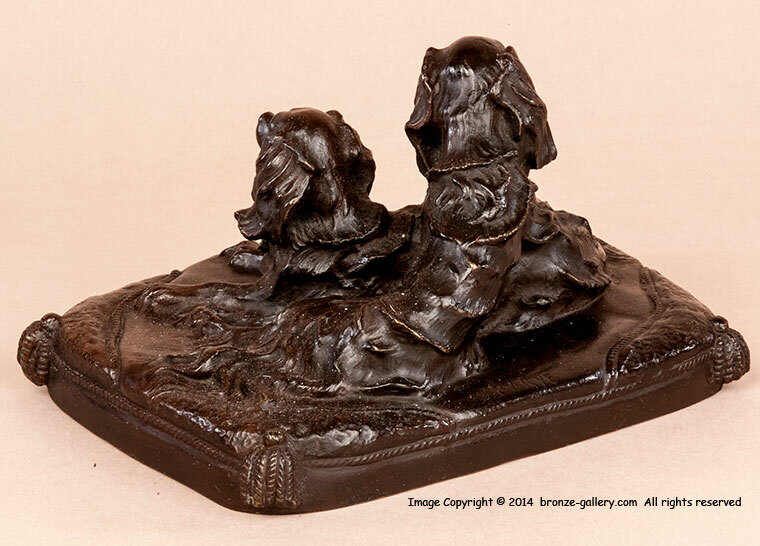 This rare model is shown in all the standard reference books on Barye, but casts of it are not often on the market. The bronze has a dark brown patina with good detail. A cast of this model is illustrated in Payne's book Animals in Bronze on page 227.